The Annual International Yoga Festival in India, conducted under the aegis of Uttarakhand State Tourism Department just gets bigger year by year as yoga enthusiasts from all over the world flock to the holy city of Rishikesh in the Himalayas. 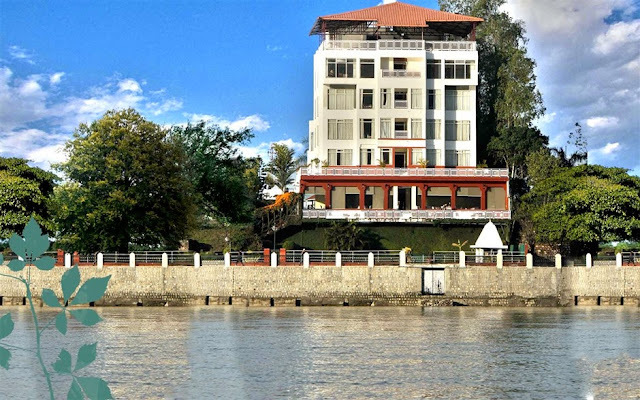 Hotel Ganga Kinare has been the venue of the Yoga Festival for almost a decade now. The site of the hotel, which is beside the Ganges, adds to the yoga experience that is different. The in-house teachers will conduct Hatha yoga sessions, take meditation classes and will demonstrate pranayam techniques. Besides typical yoga sessions, yogic chants are also the focus of the festival as these benefit the mind and spirit. Interactive sessions give you the freedom to ask questions and improve your knowledge of yoga. The yoga sessions held outdoors on the sands of the Ganges River makes a natural stage with the Shivalik Range as the backdrop.